God of War PS4 Release Date Set for April 2018 | Nerd Much? Fans have been curious as to why we haven’t heard of a release date for God of War yet. By all accounts, the title was poised for an early 2018 release. So in late January, why don’t we know where it’s slated for? Well, stop asking that question, folks. We finally have our answer. A new story trailer was released for God of War this morning. Alongside it, Santa Monica Studio announced on their Facebook page when the masses would get their hands on the game. Kratos’ return is now set for April 20th, 2018. And what a return this appears to be. Finally, it looks like Santa Monica Studio has put together a narrative for the series that makes players actually care about Kratos’ story. No longer is he just a rage filled anger driven god killing machine. There appears to be actual depth to the character now. That depth is largely due to the addition of his son Atreus. Atreus’ inclusion humanizes Kratos in a way the series’ previous games never could. And that in itself could be enough to elevate the series from a mere action spectacle into something far more epic and resounding. Sony and Santa Monica Studio are classifying God of War as “a new beginning for one of gaming’s most recognizable icons.” Kratos has been “living as a man outside the shadow of the gods.” This is not a complete reboot of the series. The previous God of War games did take place in this canon. 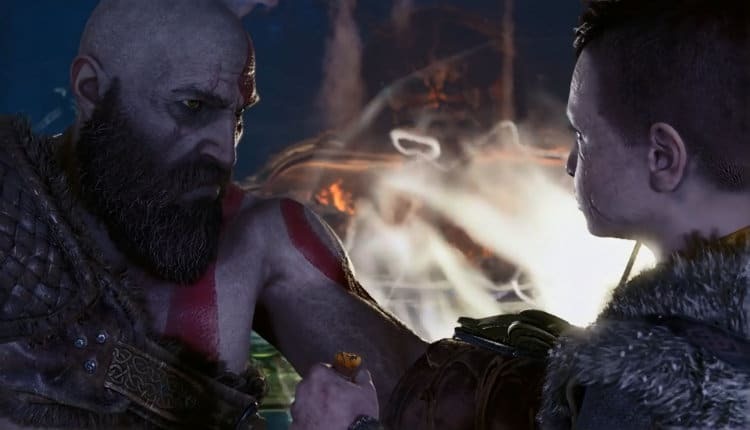 And you get hints of that in today’s trailer as Kratos discusses with Atreus that there are repercussions to killing gods. April can’t come soon enough, but if you want some other new games to keep you busy until then, check out our 2018 video game release schedule.